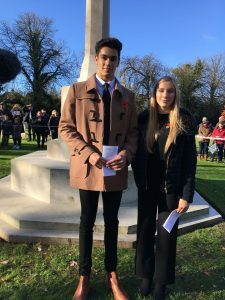 The 2018 Remembrance Day service at Botley Cemetery was very well attended. 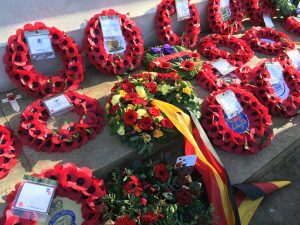 It was a beautiful autumn morning on which to remember the exact moment that the First World War ended exactly 100 years ago. 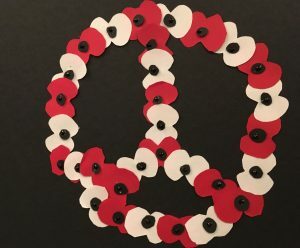 Out thanks to all who helped to organise the service and to all who participated. 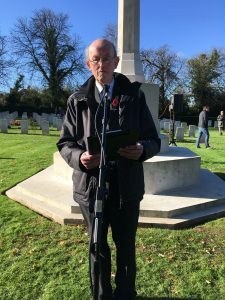 Our guest speaker was Alan Pope, ex Lord Mayor of Oxford and chair of the Oxford -Bonn Twinning Link, which has been in existence for over 70 years. 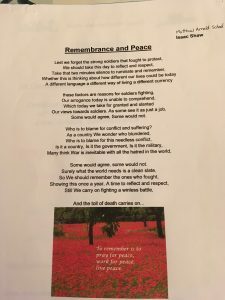 Read Alan’s Address here. 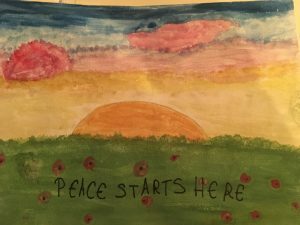 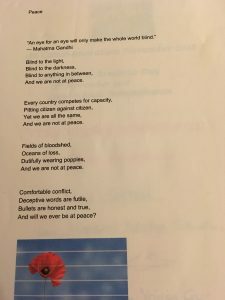 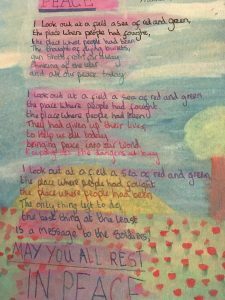 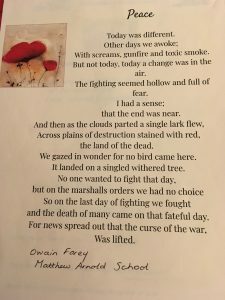 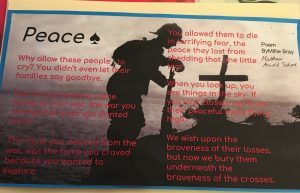 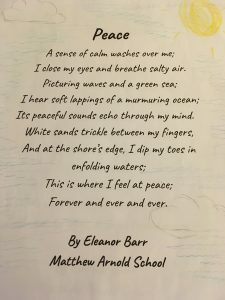 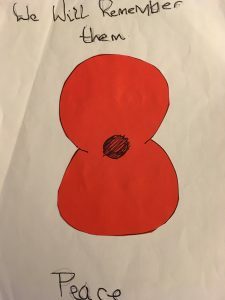 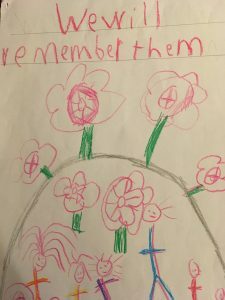 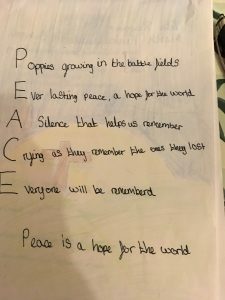 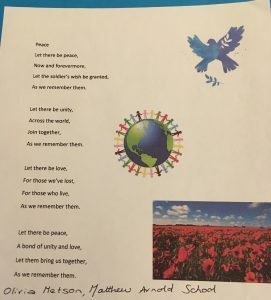 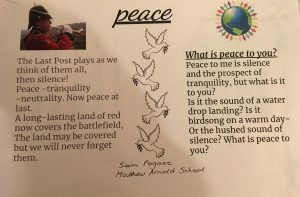 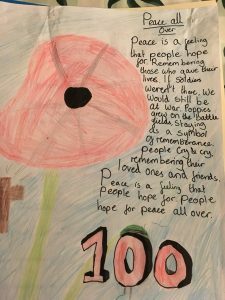 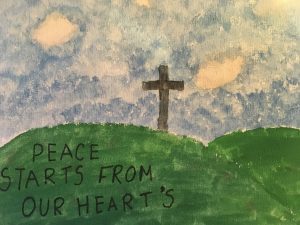 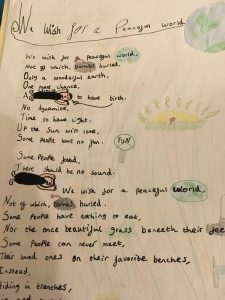 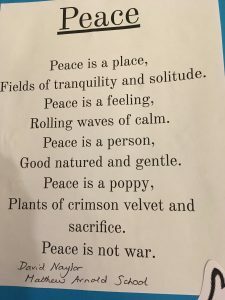 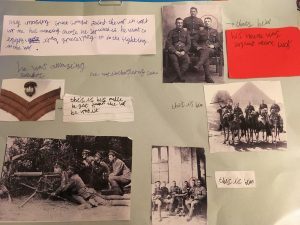 Local schoolchildren responded movingly to our search for poems and pictures relating to our theme of peace and reconciliation.